Please bear in mind that this isn’t a training course, it’s just a study plan which works really well. 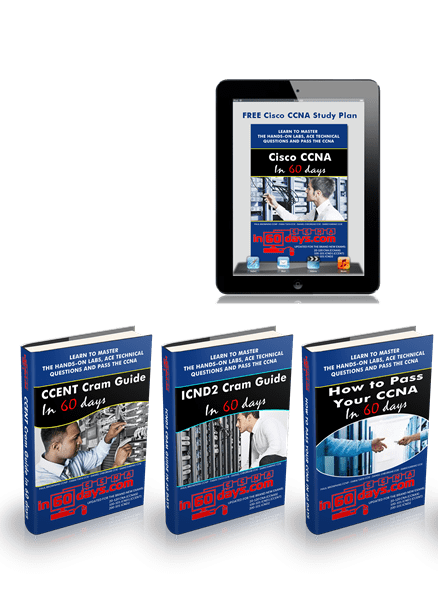 You will still need a top quality CCNA study guide, access to Cisco equipment or Packet Tracer and some practice exams. If you have bought Cisco CCNA in 60 Days book then please fill in the form for your bonus materials. If you want some expert video based CCNA training then please check out our CCNA training sites.